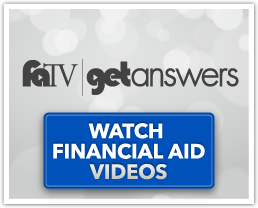 You may be eligible for four types of financial aid: grants, scholarships, loans, and work-study. To be eligible for many of these funds, you need to file the Free Application for Federal Student Aid (FAFSA) by the KU FAFSA Priority Date of Dec. 1. During the application process, you may be asked to provide private information in order to process your financial aid and scholarships. Although you are not legally required to provide this information, this information is required to complete the financial aid application process. Access to your information will be limited KU employees with a legitimate educational interest. This information may also be shared with required external agencies to process your financial aid application. This information will not be shared with other entities unless you submit written authorization to release the information to other third parties. You may also view the KU Student Records Policy.